A Beautifully designed magnificent school building is a necessity to provide a healthy educational environment. 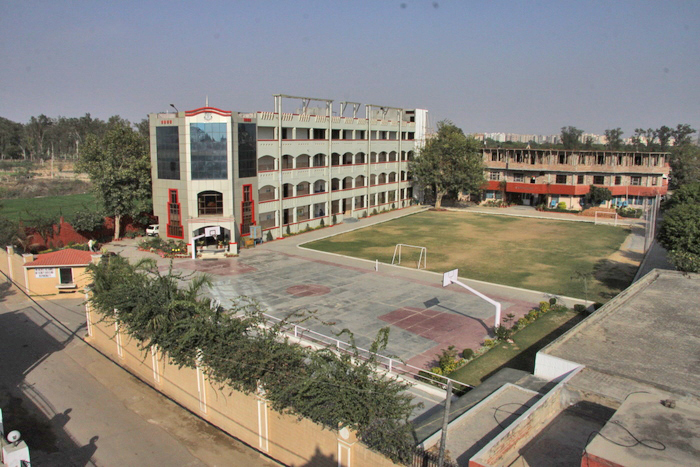 The School building is in congenial surroundings, covering an area of 50,000 sq.ft. It is a huge complex and is designed by a well experienced architect. 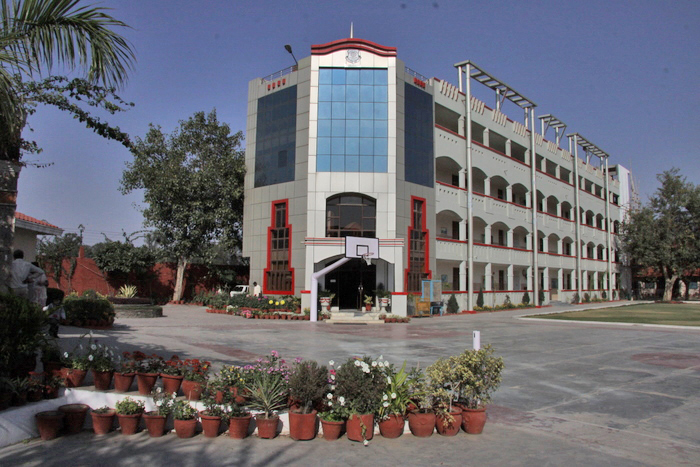 It provides modern facilities. 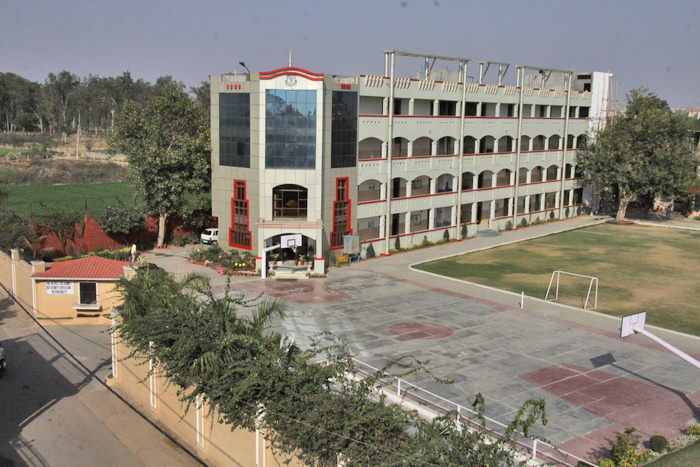 Provision has been made for Library, Laboratories, Computer Room, Audio-Visual Aids, facilities for Creative Art, Indoor and Outdoor Games..
Class rooms are built on modern & scientific lines. They are provided with writing boards, computers & electronic projectors, comfortable sitting arrangement, cupboards adequate lighting & ventilation. Each section shall consist of 15 to 20 students so that every student gets individual and close attention of the teacher. A playground with swings, slides etc. Indoor Sports Complex with facilties like Multi Gymnasium,Table Tennis...Etc. Seperate Courts for Out Door Games like Lawn Tennis, Basket Ball, Foot Ball, Hockey.... Etc. A resources centre is created to arrange workshops, seminars and refresher courses. Laboratories are well equipped and furnished to ensure best teaching aids. The learning resources center equipped with CD ROM workstation and the child computer adequate ratio is 1:1 Magazines, periodicals etc. are provided to facilitate learning. Olympic size swimming pool & well equipped gymnasium will be given to keep the students physically fit. The multipurpose covered area is for use by the students for assembly, cultural programs, yoga, meditation & gymnastics. To inculcate proper reading habits, Library period is a part of the Time Table of each class. The library is well equipped with graded books and wide range of reference books. The school is starting Lt.Sh.Gyan Chand Khurana Meritorious Scholarship. Under this scheme 100% waiver in tution fee will be provided to the students who score 85% marks & above in Class X exams. E – Learning classroom will be set up in the new session equipped with latest gadgets to facilitate learning. Fully equipped Science Laboratories with state of the art infrastructure are functional and available for use of students. A fully air conditioned floor will be added to both the boys and girls Hostel. A new Parent Facility Block (PFB) will soon be constructed for the convenience and comfort of the Parents. This will include Parent Student Meeting Room, Fee Counter, & Tuck Shop. The school will also be introducing E – Governance School systems which will track, analyse and report about the academic result of students. Roller cricket will be introduced in the school and our school will be only the 2nd school in the whole of India to initiate this format of the game. The school is starting NCC Programme in the school campus and will prepare 50 students for Army Services.